Hepatitis E virus (HEV) infection is a leading cause of acute hepatitis worldwide while an estimated one-third of the world’s population has been infected by HEV. However, HEV infection is a largely underestimated public health problem not only in Europe affecting, e.g., an estimated 400,000 humans in Germany every year. Although HEV infections usually take a clinically asymptomatic course, a considerable number of patients develop severe hepatitis that can progress to fulminant hepatic failure. HEV infection is mainly self-limiting but can lead to chronicity in immunocompromised patients. Moreover, a variety of extrahepatic symptoms can develop. There is no EMA-approved vaccine against HEV available and antiviral treatment options are very limited. Chronic Hepatitis E is defined by the persistence of HEV genomes (RNA) and/or anti-HEV IgM for more than 3 months. Chronic infections are reported from immunocompromised patients. The molecular mechanisms of the pathogenesis of HEV infection leading to different clinical outcomes are poorly understood. It is believed that both viral and host factors contribute to the wide spectrum of clinical manifestations of HEV. Clinical observations suggest that the course of hepatitis E, including chronification, may differ between HEV variants. For patients with chronic HEV infection, treatment with ribavirin has been shown to effectively clear HEV. However, antiviral resistance mutations can occur in the HEV genome. To combat HEV infection our research aims (i) to better understand the epidemiology and disease burden of HEV infections, (ii) to explore strategies to prevent human HEV infections (e.g. by ensuring food and water safety and by reducing HEV infections by blood products), (iii) to define clinical courses and understand the pathophysiology of HEV infections in distinct patient groups and (iv) to explore novel antiviral intervention strategies which will be tested in animal models and finally in a clinical proof-of-concept trial. Thomas Bock has completed his PhD at the University of Heidelberg. 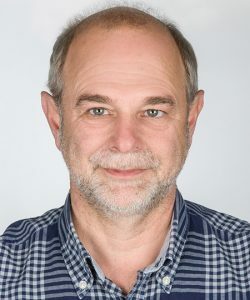 He is the head and director of the Division Viral Gastroenteritis and Hepatitis Pathogens and Enteroviruses at the Robert Koch Institute, Berlin, Germany, the national Public Health Institue, and Professor at the University of Tuebingen, Institute of Tropical Medicine, Germany. He has published more than 140 papers in peer-reviewed journals and has been serving as an editorial board member of repute.